[From the Office of the Governor: HONOLULU] – Governor David Ige today announced his proposed way forward for the stewardship of Mauna Kea. The full script of the governor’s comments, as prepared, may be downloaded from the website: http://governor.hawaii.gov/. Governor Ige thanked the Thirty-Meter Telescope (TMT) team for halting construction to allow him to listen to and learn from those with differing points of view on the issues surrounding the project. During the timeout, the governor consulted with the University of Hawai‘i, TMT officials, the Office of Hawaiian Affairs, Native Hawaiian lineal and cultural descendants, the Department of Land and Natural Resources, and individual supporters and opponents of the project. He also visited the summit of Mauna Kea. The governor noted that there is a court challenge to the project and he will abide by the decision of the courts on this matter. The governor said the State of Hawai'i must change the way it exercises responsibility for Mauna Kea and proposed to change the management of the entire summit, all of which is state land, to bring cultural voices into the leadership structure. He announced the formation of a Mauna Kea Cultural Council which will work with the Board and Department of Land and Natural Resources and the governor’s office to ensure that all acts from here forward are sensitive to and observant of the host culture. He also said that the state will increase its oversight of the activities currently taking place on the mountain under existing leases and sub-leases. Governor Ige asked the University of Hawai‘i to take 10 significant actions related to enhanced stewardship in general and to the Thirty-Meter Telescope (TMT), specifically. Accept its responsibility to do a better job in the future. Formally and legally bind itself to the commitment that this is the last area on the mountain where a telescope project will be contemplated or sought. 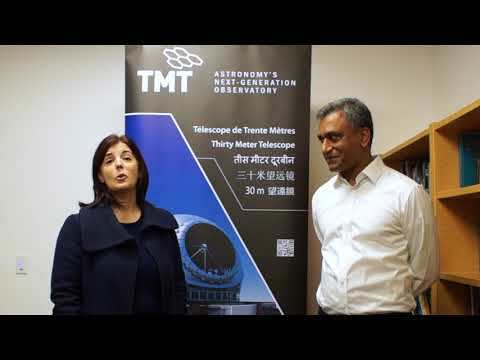 Decommission – beginning this year – as many telescopes as possible with at least 25 percent of all telescopes gone by the time TMT is ready for operation. Restart the EIS process for the university’s lease extension and conduct a full cultural impact assessment as part of that process. Move expeditiously the access rules that significantly limit and put conditions on non­cultural access to the mountain. Require training in the cultural aspects of the mountain and how to be respectful to the cultural areas for anyone going on the mountain. Substantially reduce the length of its request for a lease extension from the Board of Land and Natural Resources. Voluntarily return to full DLNR jurisdiction all lands (over 10,000 acres) not specifically needed for astronomy. Ensure full use of its scheduled telescope time. Make a good faith effort to revisit the issue of payments by the existing telescope now as well as requiring it in the new lease. Governor Ige asked the TMT team to increase its support for Native Hawaiian students interested in science and technology through admission to and scholarships at its own or partner institutions with first priority given to students on Hawai?i Island and then to students statewide. The governor concluded by committing to take a much longer view of our cultural and natural resources and to plan for them in 10 years, 40 years or even 100 years.